Live/Build/Invest. Welcome to Kerr Village. A quiet in-demand residential street in the heart of Oakville's downtown. A fantastic opportunity to enjoy tree-lined streets, large lots, and friendly neighbours. Walking distance to schools, GO and everything else you could want. 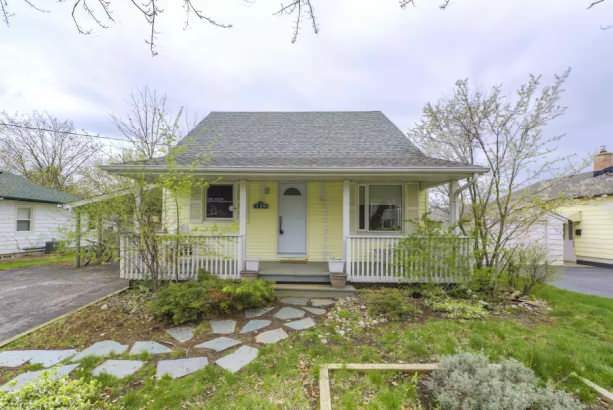 Charming 1.5 storey home with carport, wide driveway and a fantastic south-backing 55' x 122' lot. Recently renovated with new contemporary style kitchen with s/s appliances, cork flooring, Farrow & Ball paint throughout, 2011 Furnace/AC/tankless H20, two large rooms, two full baths. Finished basement, loft-like upper level, large windows t/o, sliding door to back deck. A great opportunity for someone who values the location. A lovely home to enjoy. Or perhaps you would like to build. In which case you could easily rent out this property or live-in and enjoy until such time.